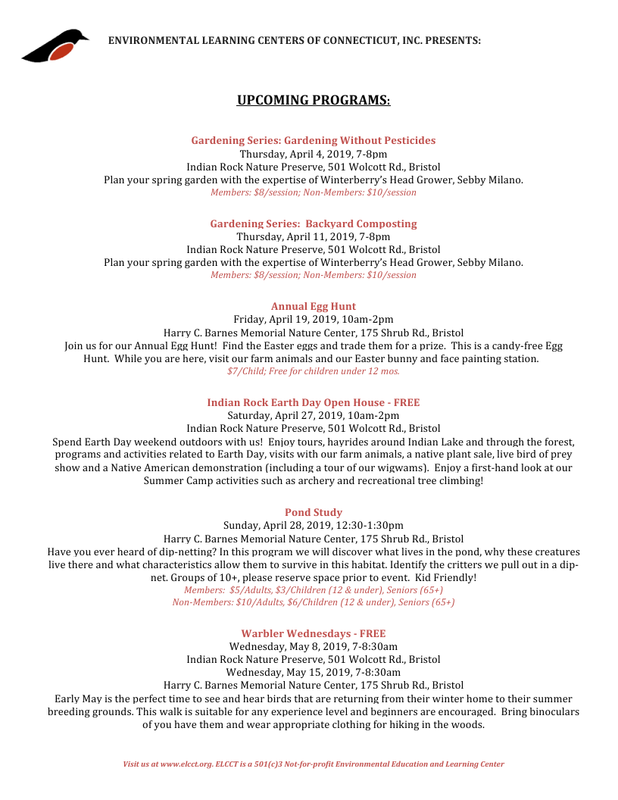 Check out the upcoming list of events for the Environmental Learning Centers of Connecticut! Enjoy one or more programs yourself or with your family. Thank you to ELCCT for what they do!